There are few experiences more exhilarating than hearing your fiction performed by an accomplished actor. 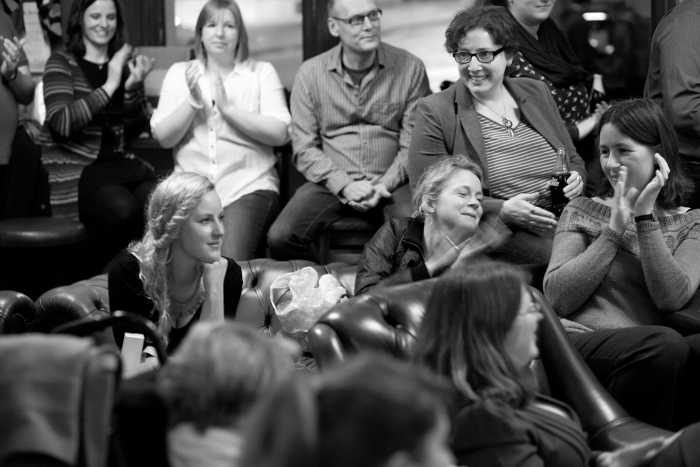 Liars’ League offers opportunities for this across the globe, with regular literary nights in London, Leicester, Leeds (returning in March after a hiatus), Hong Kong and New York, matching up writers’ tales with actors (the liars) and audiences. Why not submit a tale to see if you can become a part of it?There’s no need to choose according to your own location – I’m based in the UK’s southwest and have had one tale read in Leicester and two tales performed in Hong Kong. Click on the link for each area to find full theme listings and submission instructions. Most word limits are 800-2000. Tuesday 10 March – BOOM & BUST … From bull & bear markets to credit crunch & austerity fatigue, from explosions to “enhancement” via marble statues, any interpretation of boom or bust is welcome. DEADLINE for entries: Sunday 1 February 2015. NB The target word count for this month ONLY is around 2,500 words – ensure your submission is no more than 10% more or less. One chosen story by a British author will be recorded for BBC Radio 4. Tuesday 12 April – TRIAL & ERROR … Send stories of lawyers, of f*ckups, stories about lawyers f*cking up. Miscarriages of justice. Medical trials. Computer errors. Anything you can think of that falls under the banner of trial and/or error is sought. DEADLINE for entries: Sunday 1 March 2015. DEADLINE for entries: Sunday 5 April 2015. Most word limits are 800-3000. No descriptions are given for the themes, so just work from the titles. Kiss & Breakup – Deadline: Saturday, 28 February 2015. Born & Bred – Deadline: Thursday 30 April 2015. Short & Sweet – Flash Fiction – Deadline: Tuesday 30 June 2015. Please submit all entries in rich text format to submissions.llhk@gmail.com and by midnight of the deadline. Word count should be between 800-1200 words. This entry was posted in News and tagged call for submissions, Liars' League, short stories by Judy. Bookmark the permalink.